Look past the smokescreen and it’s obvious that the failing state of Serbia is dying, literally, and the only thing that can save it is if Belgrade boldly breaks with its “balancing” tradition of the past and embraces China as much as possible, albeit in a smart way that leads to substantial social investments that deter brain drain and advance the proposed three-child policy that its people desperately need in order to survive this century. Serbia is struggling no matter what its leaders and their surrogates may say. It’s no longer part of the much larger and more important Yugoslavia, and its economy and population are only a fraction of their former self. Extensively bombed by NATO in 1999, Serbia experienced the geopolitical disembowelment of its Autonomous Province of Kosovo and Metohija right afterwards, a psychological-civilizational wound of the highest degree from which it’s never recovered. From a “pariah state” under Milosevic to the EU’s best friend under Vucic, Serbia has been led in whichever direction the West decides for it, though it’s nevertheless always still retained a special relationship with Russia due to the two brotherly countries’ shared historical sacrifices during the two World Wars and their common religious-cultural characteristics. The outdated model of East-West “balancing” from the Old Cold War continued into the contemporary New Cold War by virtue of inertia and a dire lack of strategic creativity on the part of Serbia’s decision makers. Refusing to recognize that today’s Serbia is nothing like yesterday’s Yugoslavia, let alone operating within anything even remotely resembling the same geostrategic environment, they’ve mollified the desperate masses with Mainstream Media-driven slogans of “balancing” between the EU and Russia, which has actually been nothing more than a crude and ultimately cruel “bait-and-switch” operation to distract them while the government prepares to sell out its constitutional right to Kosovo. Scratch the surface of the superficial narrative of Serbia’s “success story” and anyone will find a dying population suffering from brain drain and with barely any long-term hope for the future. Serbia has received arms and energy from Russia but little less of tangible significance apart from symbolic votes at the UNSC that have failed to change the on-the-ground reality in NATO-occupied Kosovo, while the Europeans have promised Serbs wealth and opportunity while robbing their economy dry and making it easier for its educated migrants to flee their former homeland. Somewhat sensing the seriousness of their country’s situation, Serbia’s decision makers sought to court investment from the Muslim countries of the Gulf and Turkey in a bid to “balance” everything out and inject a much-needed stimulus into their economy, though this has thus far failed to achieve anything apart from adding a bit of glitz and glamour to their capital’s riverfront and reminding everyone of Serbia’s old geostrategic ambition in possibly facilitating EU-Turkish trade via its territory. The “Belgrade Waterfront” project has been a corrupt debacle internally even though powerful PR forces abroad are working very hard to market it as an international reputational success. The Gulf States, as they’re prone to do, have pretty much only enriched the existing elite at the expense of the average people, a pattern which is once again proven in the Serbian case. As for Turkey, it does indeed harbor sincere desires to cooperate with Serbia on the level of a strategic partnership one day, though the impact that it could have in saving this failing state is limited by geographic conditions. Instead of going through Serbia en route to Germany, Turkey might decide to keep its export line directly within EU borders at all times and therefore circumvent the landlocked Central Balkan country by shipping goods through Bulgaria, Romania, and then Hungary instead. Serbia would probably receive some residually positive impact from this trade, but it can’t base its entire future economy around being a pit stop on a larger Turkish-German highway, nor, for that matter, should it do so when it comes to China’s Silk Road either. One of the most recent developments in Serbian strategic thought has been the country’s high-level comprehensive partnership with China through the 16+1 format that brings together the 12 countries of the Polish-led “Three Seas Initiative” (TSI), the rest of the former Yugoslavia, and Albania, and functions as a platform for building China’s Balkan Silk Road high-speed railway into the EU via its Balkan backdoor. As part of this, Beijing is already constructing the central Budapest-Belgrade portion that is then expected to expand south to the Chinese-owned Greek port of Piraeus (one of Europe’s largest) and prospectively as far north as Warsaw and maybe even one day Helsinki by going along the eastern edge of the “Baltic Ring”. Like with every other Silk Road project anywhere in the world, China’s Balkan branch of this global infrastructure initiative is indeed a game-changer for all the parties involved, not least of which is Serbia because of its position smack dab in the center of this connectivity corridor. Not (yet) being part of the EU, the country is more attractive to the Chinese than other ones because of its comparatively (key word) less regulations, although this is changing as Serbia rushes head-first into Brussels’ embrace under the Vucic government. For the foreseeable future, however, Serbia is one of China’s two key partners in Central and Eastern Europe (the 16+1 space) alongside Poland, and this gives Belgrade a once-in-a-century opportunity to leverage its strategic position to all of its citizens’ advantage, though provided that its leadership is interested in doing so. Serbia is being abused by the EU, neglected by Russia, and has insufficient chances of being “saved” by Turkey or the Gulf States, so the only hope that this country has for “balancing” to its real benefit is to embrace China as much as possible in order to get its other partners “jealous” and prompt them to offer up Serbia better deals than before in order to remain competitive within its borders. A lot of Serbia’s economic assets are already in foreign hands so the country isn’t exactly starting off from an enviable position in this respect, but then again, its geostrategic position has never been better because of its irreplaceable transit location along the Balkan Silk Road, which might eventually be attractive enough for the Turks to not circumvent their trade around it but instead use Belgrade as their Central and Eastern European regional hub. Faced with some real but friendly multipolar competition from China, Russia might decide to “step its game up” and do more for Serbia than ever before, anxious to preserve its market share and overall position in the Serbian economy, just like the Europeans might do as well. It might sound like a risky proposition considering that countries which have gone too far in a multipolar direction too quickly like what’s being proposed with Serbia’s full-spectrum and ultra-fast Chinese pivot often experience swift regime changes, though therein lies the paradox because the present government in Belgrade is much too important to the West to get rid of. Vucic could rightly be regarded as “Germany’s man in Serbia”, and he seems hell bent on carrying out Chancellor Merkel’s will and that of her American overlord in removing Kosovo from his country’s constitution in order to be guaranteed a future place in the EU. So zealous is Vucic about accomplishing this task, that he’s even willing to sacrifice his political career and ultimately anything positive of note that could be said about his legacy in order to achieve his mission, and a man like him just simply can’t be replaced no matter how much external forces try to “hack” Serbia’s “democracy”. The fact of the matter is that the West needs Vucic much more than the reverse, which is why he can be considered pretty much “untouchable” in the regime change sense no matter how successfully the proposed pro-Chinese pivot plays out. Serbia could become more of a “Chinese colony” than some of the “Global South” countries that the Mainstream Media has falsely fear mongered about and it wouldn’t matter so long as he remained sincerely committed to selling out Kosovo, or at least appeared to be to his international handlers. Serbia, though, needs to be “smart” in its relations with China and not have a naïve policy of “come one, come all” and just blindly give Beijing whatever it asks for without a second thought. Instead, Serbia must recognize that it is just as important to China as the reverse, meaning that the two economically lopsided countries can become “strategic equals” in a sense. 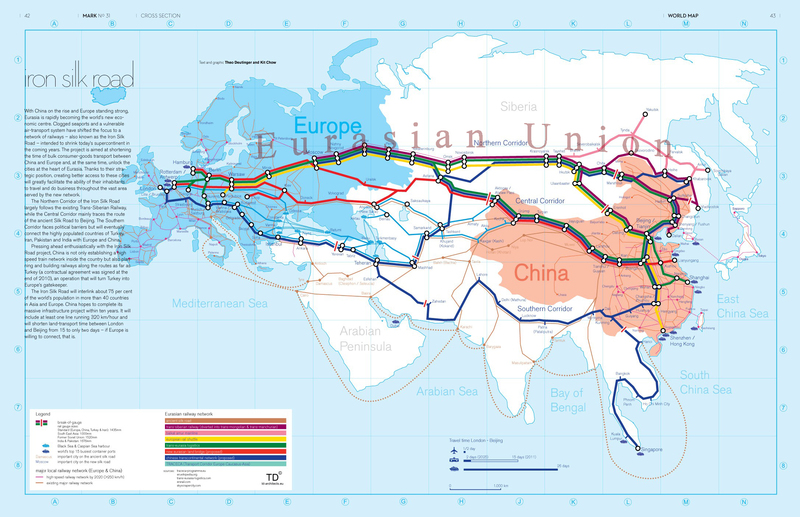 To explain, China needs reliable access to the European consumer and labor markets in order to continue fueling its own growth but it can’t entirely rely on the Eurasian Land Bridge through Russia in this sanctions-beleaguered environment of the New Cold War, ergo the real reason behind the Balkan Silk Road as more dependable “backup plan”. This corridor, however, isn’t feasible without Serbia, so that’s why this comparatively small and landlocked state has actually become one of the gatekeepers of future Chinese-European trade. The best way for negotiating with the Chinese on anything is to appeal to their “win-win” mentality, to which end Serbia would have to craft a legitimate mutually beneficial reason beyond why it needs more benefits from Beijing than it presently receives. It’s at this point where it could offer economic and other incentives to Chinese entrepreneurs in exchange for social investments in schools, language-training programs (specifically Mandarin), and most importantly, financial subsidies for new mothers. Serbs are dying out, literally, and the only hope for this civilization to continue into the next century is to prioritize a three-child policy as soon as possible, though the government doesn’t have anywhere near the resources for doing so. China, however, has billions of dollars to throw around, as is evidenced by its social investments in Africa over the years, and there’s no reason why some of that largesse can’t come Serbia’s way too. China shouldn’t be faulted for not magnanimously investing in Serbia’s social services and family-building policies because all countries – and especially that one – always try to advance their interests with the least amount of cost as possible, which is why it is incumbent on Serbia’s decision makers to convince them that these interests can better be served in the long-term by building up their country’s social capacities to function as its main Silk Road hub in Europe. Neither the Europeans, nor the Russians, nor the Gulf States, nor Turkey have done anything – nor have signified any interest – in promoting Serbian birthrates above replacement level and guaranteeing this dying population a respectable place in their homeland in the future, and with the government unable to do this either, then the only hope of this happening is for Belgrade to strike the relevant Silk Road deal with Beijing after persuading it that the People’s Republic must invest in this crucial component of its Balkan hub. Serbia’s post-Old Cold War (or more accurately, even post-Tito) “balancing” strategy turned it from a subject of geopolitics to an object, especially following the externally provoked dissolution of Yugoslavia in the 1990s, and the country has yet to regain its former glory and probably, in all honesty, never will. That said, hope isn’t entirely lost even though the future definitely looks bleak for its people, but the first step must be for its decision makers to open their eyes to the groupthink illusion that their current “balancing” strategy has yielded any real benefits for the country. All that it’s done is prolong the state’s slow death while distracting the people with unrealistic dreams of a Tito-like geostrategic revival in the New Cold War as their beloved Province of Kosovo and Metohija is sold out before their very own eyes. For as much as he’s already destroyed his reputation by fanatically doing all that he can to get rid of Kosovo, President Vucic could partially “redeem” his legacy and reverse it into a “positive one” if he takes advantage of the West’s strategic reliance on him and embraces his “untouchable status” to pivot as rapidly to China as possible per the aforementioned policy suggestions. In the admittedly unlikely event that Serbian decision makers are capable enough of clinching the much-needed social investment deals with China after successfully leveraging their geostrategic position along the Balkan Silk Road, then Serbia might once again have a chance at becoming a subject in International Relations so long as it skillfully manages the newfound Great Power competition for it that this dramatic move could provoke. Should this best-case scenario happen, then Vucic might ultimately reconsider his previous crusade to sell out Kosovo if he sees that his Chinese pivot and resultant geostrategic “balancing” already brought Serbia even greater benefits than this Europhile himself could have ever imagined it would receive had it joined the EU on the condition of getting rid of its civilizational cradle. It’s not for sure that this will happen, but it’s nevertheless the absolute last chance to save Serbia. This analysis was inspired by Elena Bekić.